Britain’s biggest foodbank charity has called for urgent changes to Universal Credit, as they warned that foodbank use in Scotland has risen by 15% in the five months to September, due to the in-built minimum wait of five weeks for a first payment – with many more people waiting even longer. The Trussell Trust have also said that when Universal Credit goes live in an area, there is a demonstrable increase in demand for local foodbanks. On average, 12 months after the rollout of Universal Credit, foodbanks see a 52% increase in demand. The Trussell Trust figures come as the UN Special Rapporteur on extreme poverty and human rights is visiting the UK to investigate the impact of austerity. The Scottish Parliament will today debate UK Government welfare cuts and the SNP will call for the immediate halt of the rollout of Universal Credit, which has brought debt and hardship to Scottish communities. “These are heartbreaking figures, which bring into sharp focus the disastrous impact of Tory austerity on our communities. 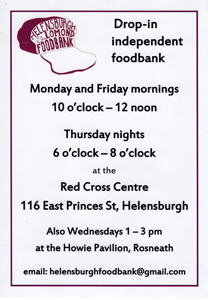 “The fact that foodbank use continues to grow is a damning indictment of UK government cuts to welfare, and the botched rollout of Universal Credit. As these figures show, the long delay in getting a first payment pushed people into crisis aid, and is one example of why the roll out of UC must be halted so the fundamental flaws can be addressed. “It is abundantly clear that the welfare cuts inflicted by the Tories on people across Scotland have directly led to a dramatic rise in the number of people forced to rely on foodbanks. In fact, the Chancellor’s latest Budget overwhelmingly benefits the rich, while low-income families are forced to choose between paying their rent and feeding their children. “Esther McVey’s claim today that UC is the “right direction for the country” is, frankly insulting and shows just how out-of-touch the UK government is. S5M-14621 Shirley-Anne Somerville: Impact of UK Government Welfare Cuts and Universal Credit on Poverty—That the Parliament welcomes the UN Special Rapporteur on Extreme Poverty and Human Rights to the UK and in particular to Scotland this week as part of his visit to investigate the link between poverty and the realisation of human rights in the UK; condemns the unacceptable damage that the UK Government’s welfare reform policies are causing across Scotland, and the subsequent negative impact on poverty levels; agrees that Universal Credit is causing debt and hardship across Scotland’s communities and calls on the UK Government to immediately halt the roll-out of this; notes the conclusions of the Scottish Government’s 2018 welfare reform report, which highlights that the UK Government’s welfare cuts will lead to a £3.7 billion fall in social security spending in Scotland in 2020-21, including a £370 million reduction due to the benefit freeze; further notes that the appalling two-child limit has already reduced the income of 3,800 families in Scotland and this number is set to grow year on year and will result in a £92 million cut for families by 2020-21; raises concerns that UK Government tax and welfare changes since 2010 are estimated to increase the number of children living in relative poverty in Scotland by 8%; believes that the UK Government failed in its autumn Budget to support the poorest in society by lifting the current benefit freeze and addressing the fundamental flaws in Universal Credit, and welcomes the Scottish Government’s commitment to ensuring that dignity, fairness and respect are at the heart of Scotland’s new social security system.